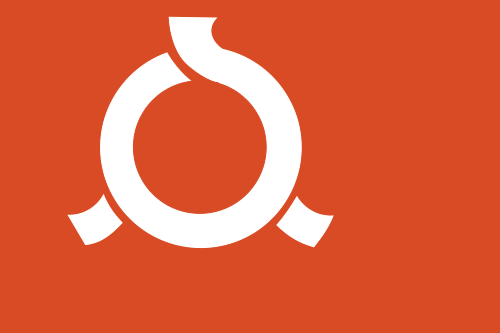 The prefecture of Fukushima is located in the Tōhoku region on the east coast of Japan on the island of Honshu. The total area of the prefecture is approximately 5,321 square miles (13,783 km2), and the population is about 2 million people. The Great East Japan earthquake and subsequent tsunami and disaster at the Fukushima-daiichi nuclear power plant in March 2011 prompted the people of Fukushima to reassess their energy system and ways of revitalizing industry in the shattered region. This led to a vision to transition to renewable energy as a pathway forward. Fukushima now has an official commitment to cover a minimum of 100% of primary energy demand in Fukushima with renewable resources by 2040. 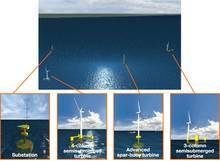 Part of this plan involves taking advantage of strong offshore wind by building a large floating wind farm off the coast of Fukushima. 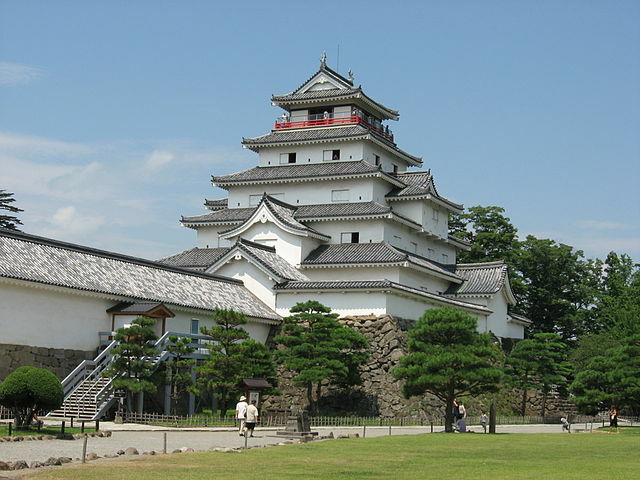 The leader of this project is Ishihara Takeshi, a civil engineering professor at the University of Tokyo. The first 2 MW turbine was delivered in July 2013, with a target date for it to be online in October 2013. During this initial phase, a consortium of 11 organizations hired by the Ministry of Economy, Trade, and Industry intends to evaluate the turbines and collect key data. Phase 2 is to be complete by 2015 with a goal of bringing online two 7 MW wind turbines and to work toward commercializing this technology. 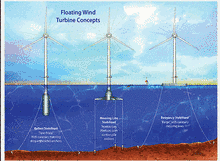 By 2020, the goal is to have 143 large wind turbines totaling 1 GW in capacity 10 miles off the Fukushima coast. This would make it one of the largest wind farms, if not the largest, in the world. Because of these turbines' massive size, they must be locally constructed, which translates into local jobs in manufacturing and maintenance. Fukushima already has automotive and airplane industries, along with battery and motor manufacturers, which provide useful components to the budding wind turbine industry. 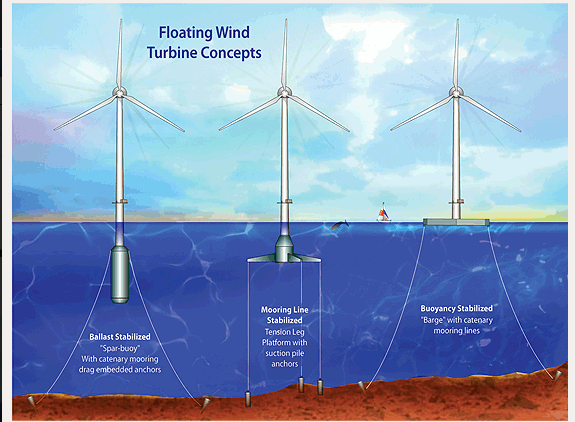 The total cost of the floating wind farm project is ¥18.8 billion (approx. $189 million USD). The Fukushima Prefecture renewable energy vision also includes other technologies and resources, including solar thermal heating, photovoltaics, biomass for power and heating, geothermal energy, and hydropower. The plan includes building the world's largest solar array. Fukushima Prefecture has held several educational and industry events to attract support for its renewable energy plans, including a trade fair in 2013 and a trade seminar in Dusseldorf, Germany to promote renewable investment opportunities in Fukushima.